THE MISSION OF THE TONY IRELAND HSV GROUP COMPANIES IS TO BE THE BEST. 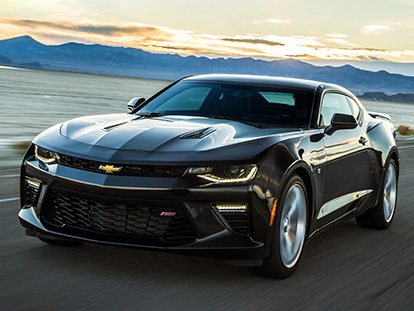 Have you heard the news, new HSV and Chevrolet models have now arrived! At Townsville HSV, we are very proud of our heritage. Some call us an Australian landmark company. One thing’s for sure: We are True Blue. That goes as much for our company ideals as for the vehicles we sell and service. And, we believe that as long as we continue to offer our clients the very best in attitudes, as well as the service and range of vehicles that you’d expect from one of Australia’s largest and most reputable vehicle dealership group, our name will always be the first you think of when you think HSV! People tell us that it’s our commitment that keeps them coming back to us. You’ll be surprised when you pay us a visit … at the pleasant, informal surroundings and attitude. When you come in, you’ll be able to consider the range of vehicles in superb comfort, with the assistance of a specialist who knows everything there is to know about our vehicles. In the meantime, please contact us if we can be of any assistance. And as long as we continue to offer our clients the very best that you would expect from us, our name will always be the first you think of when you think HSV. It’s our commitment that keeps people coming back! Townsville HSV – 52 Duckworth Street, Garbutt QLD 4814 – Queensland, Australia.